Stem cells are one of the most improving and growing fields in modern biology. They have important properties and serve as our body's repair kits. Stem Cells are the essential organisms in our body that help us to repair, rejuvenate the damaged cells in our body. Every organ in our body made up of tissues, which contain stem cells. In addition, in many tissues stem cells do internal repair work, dividing essentially without limit to replenish other cells as long as the person or animal is still alive. Therefore, it is very important to maintain an optimum stem cell production in our body throughout our lifetime. All of us have millions of circulating stem cells, therefore it is essential to know the role of stem cells and how to enhance them as we age. 1.What happens as we age? 4.How does Stem cell work? 5.What is the origin of Stem Cells in our body? 6.Can Plant stem cells used in stem cell therapy for human beings? 7.How do we know plant stem cells does this? 8.Where do we get these plant stem cells? 9.How has Mibelle Biochemistry developed this stem cell? Our body’s production of stem cells declines steadily when we grow old. Sign and symptoms of aging like deteriorating memory, mental ability, and strength, wrinkling of the skin, fading eyesight observed after a certain age. At this time of life, we need greater amount cells for tissue repair than when we are young. Stem cell reduction takes place due to aging. 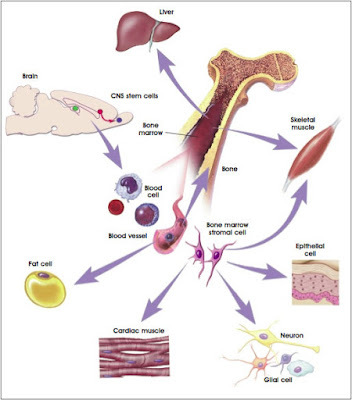 Healthy stem cells get released from the bone marrow, which is the main source. But as we age this release rate also drops and we need to look for stem cell nutrition to increase stem cell production and release stem cells from the bone marrow. 65 years - the stem cell release rate reduces to 90% (balance only 10% of adult stem cells circulate in the bloodstream). At this time we actually need them the most to fight disease, sickness due to aging. The only option is to rely on external sources like plant stem cells to rejuvenate the dead cells and repair the damaged ones. Studies have shown that greater the amount of stem cells in your body, the more renewal, and repair work takes place, and slow down the signs and symptoms of aging. Stem Cell is a non-differentiated cell which is capable of giving rise to millions of cells of the same type, and from which specific kinds of cell arise by differentiation. All of us are constantly under attack from atmospheric pollution, water pollution, and soil contamination. 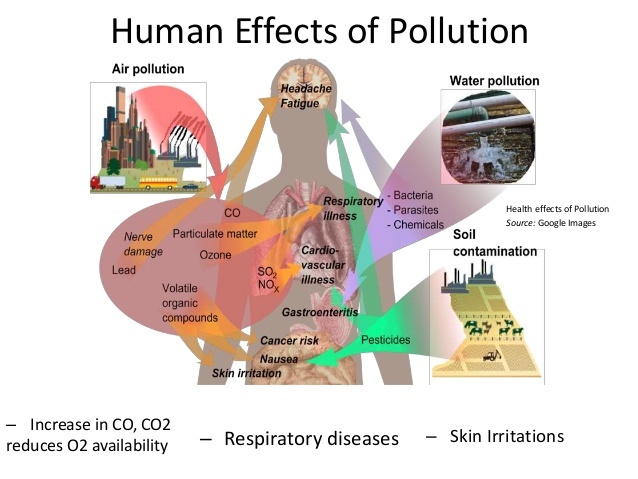 Breathing the polluted air, consuming water from the polluted water source (not known to many), and foods grown in the contaminated soil causes the production of free radicals inside the body. Free radicals caused due to the constant attack on healthy cells by pollutants and are oxidized making it miss one molecule from their molecular structure. This causes free radicals to become unstable. Therefore, to maintain their stability free radicals attack healthy cells to get a molecule. In the process, they can actually damage the healthy cell causing it to reproduce in an unhealthy and transform the gene structure altogether. This is where sickness, as well as premature aging, develop. As a result, gives rise to the reduction of stem cells in the body. Environment pollution is something that cannot be totally eliminated, therefore to maintain, the number of circulating stem cells in our bloodstream. The key to increase the stem cell production is through correction by adding stem cell nutrition supplements along with the regular food. How does Stem cell work? Stem cells have the potential to multiply into many types of cell in the body when in younger days. They also provide internal repair of damaged cells in the tissue. They divide without any limits to replenish other cells during the lifetime of the person or animal. When a stem cell divides, it either remains a stem cell or becomes another type of cell with a more specialized function, such as a brain cell or a liver cell or a blood cell. Stem cells are different from other cell types depending upon two important characteristics. • They are unspecialized cells capable of renewing themselves through cell division, after long periods of inactivity. • Under certain physiologic or experimental conditions, they are induced to become tissue- or organ-specific cells with special functions. In some organs, such as the gut and bone marrow, stem cells enhancement takes place regularly to repair and replace worn out or damaged tissues. In other organs, such as the pancreas and the heart, stem cells only divide under certain conditions only. “Stem Cells don’t kill anything or cure anything, they simply promote rebuilding so that your health improves and you experience wellness. Are the functions of Adult Stem Cells really the most dramatic scientific breakthrough of our times? What is the origin of Stem Cells in our body? Stem cells are produced in the human bone marrow. These stem cells are released into the blood and keep circulating in the bloodstream waiting to get signals from the problematic organs.Based on the receipt of chemical signals from any part of the body, they travel towards the organ in need to repair, renew and rejuvenate.These cells are capable of converting into the organ-specific stem cell and replace the old and damaged stem cell. This is a new healthy stem cell and thus the organ functions better. This process can occur in the liver, the kidneys, the brain, the skin, eyes, any organ, tissue, muscle, bone, connective tissue – literally any part of the body that needs of repair or restoration. Can Plant stem cells used in stem cell therapy for human beings? Of course, plant stem cells used in stem cell therapy for human beings also. In fact, it is safer to use plant stem cells rather than human stem cells for treatment. Following are the reasons why we can use plant stem cells instead of human stem cells. • Plants have stem cells that can function similar to human stem cells. • Plant stem cells can induce stem cells in humans to divide. Normally, flowering plants categorized as dicots, which include the apple, grapes, cashew, and pine tree, are used to create plant stem cells. Plants that have meristematic cells that make up the meristematic tissue are the equivalent of a stem cell in humans. A meristematic cell change into a permanent cell, which is equivalent to an adult stem cell in humans. The meristematic cells stimulate the immature cells in the tissues and organs of humans to replace non-functioning cells, repair damaged cells, and regenerate lost tissue and function. Therefore, the function of the meristematic cells is to induce human cells to differentiate and multiply. How do we know plant stem cells does this? Humans who were undergoing treatment for illnesses like joint disease have taken stem cells. Arthritis is a degenerative disease due to toxins in our body developed because of the creation of free radicals. This damage the walls of tissues of the joint. Free radicals attack the synovial liquid in the joint leading to bone joints rubbing against each other causing severe pain during movement. Because of the plant stem cell consumption, the human stem cells in the joints differentiate and rejuvenate the synovial fluid. Thus creating a cushioning effect on the bone joints and remedies arthritis. Therefore, this proves that the plant stem cells consumption is the root cause of arthritis. We can conclude here that stem cell therapy is an alternative medicine to all kinds of diseases. It is a natural healing process. Where do we get these plant stem cells? There are many manufacturers in the world, but the most well renowned in the field of plant stem cell technology is Mibelle Biochemistry – Switzerland, manufactures high-quality phytonutrients from plants. This company manufactures high-quality actives for cosmetic industry based on naturally derived compounds and extensive scientific expertise. PhytoCellTec™ is the name of a new biotechnology that researchers from Mibelle Biochemistry have used to generate and cultivate plant stem cells. It is Switzerland-based company ‘Mibelle Biochemistry’ founded by Dr. Fred Zulli in 1991. Their motto – “inspired by nature – realized by science” – is the guiding principle behind its new approach to combining nature and science through a technique to extract raw materials from plants. According to Mibelle Biochemistry, there are two parts within a plant stem cell that is important in its healing effect namely the plant growth hormones and the photochemical. The buds and shoots are the rapidly growing parts of the plant. They contain plant growth hormones that stimulate the cells of plants to grow and develop from partially developed undifferentiated cells into full-grown differentiated cells. Similarly, Plant growth hormones, also stimulate the immature cells in the tissues and organs of humans to remove dead cells, repair damaged cells, and regenerate lost tissue and function. Phytochemicals in plant stem cell promote regeneration by stimulating cellular processes and can aid in many different metabolism activities within the body. The phytochemicals and plant growth hormones, both, promote division and differentiation of cells, produce a unique cellular and physiologic approach to illness that works towards reversing the disease occurrences and help cure the diseases at the root level rather than merely concealing the symptoms. Thus they are our stem cell enhancers a key to optimal wellness. How has Mibelle Biochemistry developed this stem cell? Mibelle Biochemistry – Switzerland has developed exclusively two different types of plant stem cells - apple stem cell and grape stem cell through their advanced technology called PhytoCellTec™. This product was launched as Double Stem Cell.This brand marketed by Phytoscience of Malaysia is well accepted by many people all over the world and have enough number of testimonials to support the efficacy of the product. • Protects the epidermal cells from ultraviolet stress and thus from skin aging caused by sunlight. • Increases the vitality and efficiency of all essential skin cells and improves skin resistance. One thing is for certain, the steps you take today determine your health in the future. 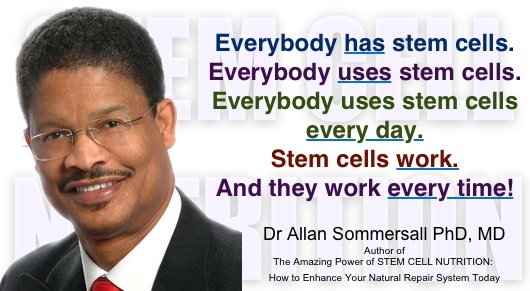 Stem cell production in our bodies continues throughout our lives. However, many factors can severely reduce stem cell production. The primary factors are age, inadequate nutrition, severe illness, and the use harmful substances (i.e. tobacco products, alcohol, foods containing preservatives, highly processed foods etc). Therefore, the focus here is to adhere to best nutritional choices that will work in conjunction with stem cell nutrition supplements to help your body optimize stem cell production and keep you healthy and slowing the natural aging process. The effects of stem cell enhancers will be that you will not only feel better, but you will also have more energy and find it easier to remain height/weight proportional. Did you find this blog useful? Did I miss any important points on 'how stem cells repair body'? Please share your ideas in the comment section below. If you found this post to be helpful, please share, like, and/or comment with your social circles.